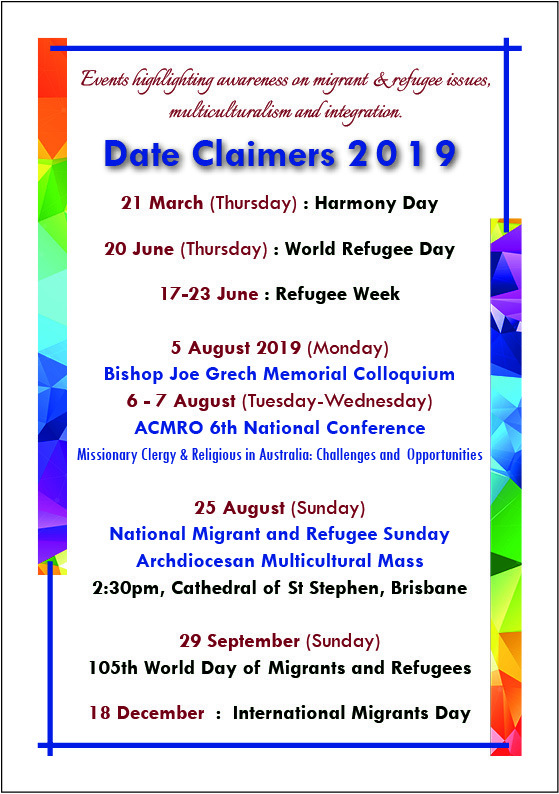 The Plenary Council Journey in 2019: Pentecost (9 June) marks the second stage of preparation for Plenary Council 2020. This phase is called ‘Listening and Discernment’. 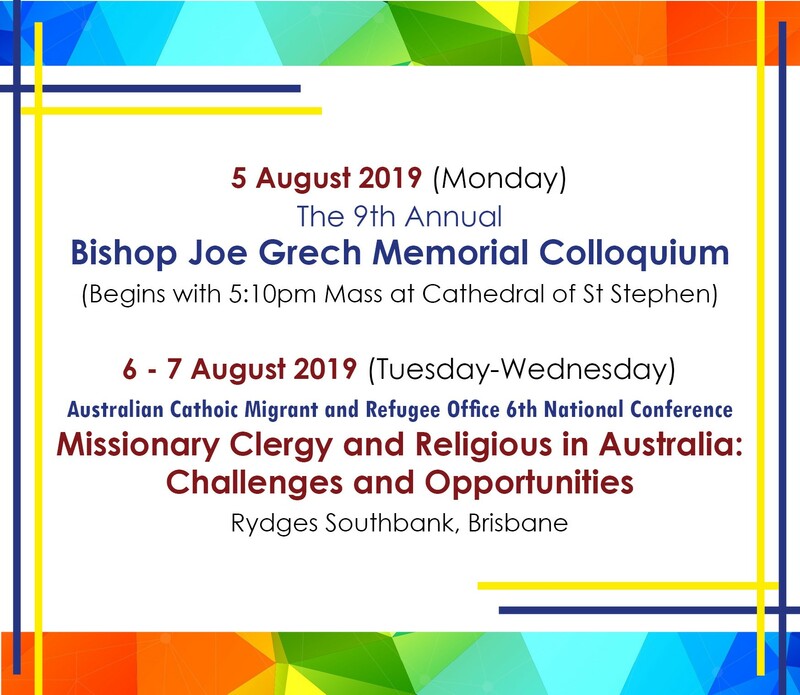 Two recurring events organised by the Australian Catholic Migrant and Refugee Office (ACMRO) will be held for the first time in the Archdiocese of Brisbane in coordination with the Centre for Multicultural Pastoral Care and Evangelisation Brisbane. Early Bird prices are available until 1 June 2019.